Bruno Bavota - RE_CORDIS. Vinyl LP. Bleep. Instant MP3 download with all Vinyl purchases. 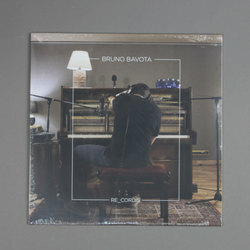 The latest LP from Italian composer Bruno Bavota arrives via Temporary Residence. RE_CORDIS (see what he did there) finds Bavota honing his particular brand of neoclassical composition. Across the tracklist here he combines sparse, melodious piano lines (think Ludovico Einaudi) with warm electronics in a manner similar to Olafur Arnalds. Occasionally, as on ‘If Only My Heart Were Wide Like The Sea’, Bavota falls back on the trusty old acoustic guitar. View More Temporary Residence Ltd.